You probably use a variety of beauty products on your entire body to keep everything from your skin to your hair looking healthy, and if you're tired of paying top dollar for your beauty products, from your makeup to your shampoo, you may be thinking about buying fewer items or switching to low-cost brands. But the truth is that you really don't have to give up on any of your favorite beauty product brands, and you can still get the products that you've grown to love while saving money at the same time. The trick is to purchase your beauty products online. How can you do that and save money? Continue reading for a few tips. Many of your favorite brick and mortar stores, from makeup shops and department stores to discount pharmacies, have online stores that allow customers to shop and make purchases on the internet. Take advantage of this convenient feature, but also make sure that you check a site for exclusive online deals that will allow you to save even more money. You may even be able to purchase you products online and pick them up in the store so you can have them right away without having to wait for them to ship to you. Private sale websites are becoming increasingly popular because they offer some really deep discounts on your favorite products every day. All you have to do to gain access to the deals is sign up for a membership with the website, which is typically free. Once you're a member, you'll then start receiving emails with exclusive offers and deals. You may be surprised by how many offers you get and how they great they are. Drugstores that are only found online also offer some really great discounts on your favorite beauty products every day. Rather than driving to go to the store, walking through the aisles to find what you're looking for, and waiting on a long line to get to the cash register, you can instead sit comfortably at home, surf to your favorite online drugstore's website, and make your purchases. Oftentimes, these websites will even have free shipping offers, especially when you spend over a certain amount of money, so this is a good reason to stock up on your favorite products so you won't have to buy them again for a long time. And, of course, sign up for mailing lists to gain access to exclusive offers and sales to save even more money. The great thing about online shopping is the fact that you can buy many of the same product in order to save money. By purchasing in bulk in this manner, you can really save a lot of money in the long run, especially if you purchase during a sale or you have a really good discount code to apply to your order. Again, many people choose to purchase more in order to save money on shipping costs, but purchasing in bulk ultimately allows you to make fewer purchases over time, which will also save you more money. The key is to make your purchases when the prices are at their lowest. After all, there aren't any restrictions set upon how many of a single item you can buy online. Amazon is the biggest and most popular online retailer, and you can find just about anything, including a vast array of beauty products, on there. The great thing about Amazon is the fact that you can get free shipping after you spend a certain amount of money. Plus, there are many third party sellers available that have their own products for sale, so you have a lot more options than first meets the eye. This allows you to compare prices and get the lowest priced deal on any item that you're searching for. And at these low prices, you can definitely stock up so you can save even more money in the long run. If you want to, you can even start selling beauty products yourself online. Click here to learn about how you can start your very own ecommerce website quickly and easily. 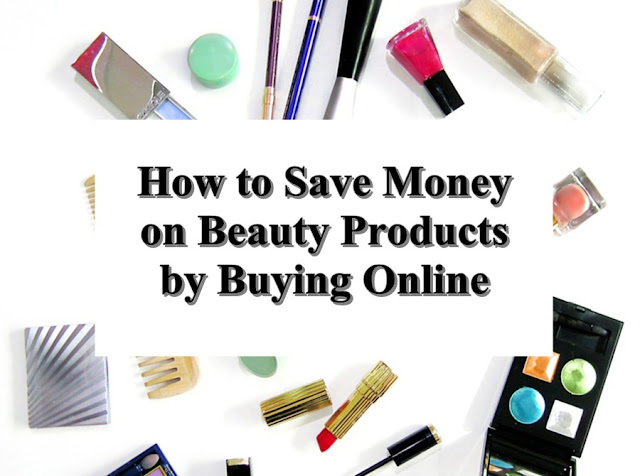 However, even if you don't want to sell the products yourself, rest assured that there are plenty of websites out there where you can purchase you favorite beauty items at the lowest prices so you never have to break the bank just to look great. I've learned that buying beauty products online certainly does save quite a bit of money. I hadn't thought of Amazon though. Thanks for the helpful tip! I always consider stocking up... but then there's the chance that I could find something new that I want to try!